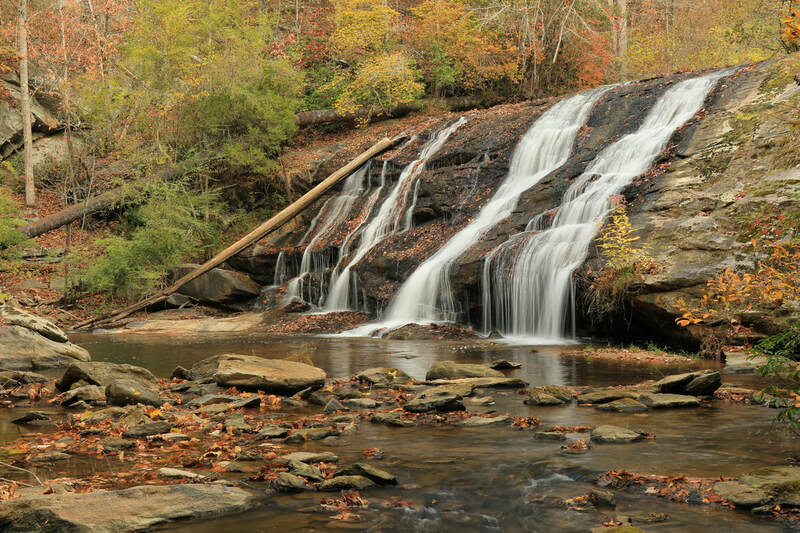 Waterfall Info: This is a significant waterfall on the East Fork of the Little River, which drains an area in the northeast sector of Lake Lanier. The waterfall is near the intersection of Highway 52 with Highway 129. Not accessible to the public.